First, lets get down and dirty and explain why you should compost to begin with. For starters, composting is very good for the environment. When you dump food in the trash, it's sent to a landfill where it does not decompose the right way. Instead, it releases methane, a greenhouse gas 30 percent more powerful than carbon dioxide. Composting can help reduce methane emissions because it lets your food scraps decompose in an aerated, favorable environment. There are also other benefits to composting, one of them being it can save you money. Think about this: If you have any houseplants, you might indulge in buying them expensive fertilizers every once and a while, right? Well, by making your own compost, you won't have to do this anymore. Compost enriches soil because it's its own fertilizer. Just add it to your plants' soil and mix it in. Also, if you make enough compost, you can give some away to friends and family who have gardens. Heck, if you want to, you can even sell it to them (hopefully with a family discount? haha). Just a thought! Last but not least, if you start a worm composting bin, and you keep your worms happy, you may end up with more worms than you can handle. There's a huge market for red wigglers (the specific type of worm needed for composting) so you can take initiative and start up your own composting business if you so choose! How cool is that? Well, it's first important to note compost is made up of greens and browns. Brown materials contain carbon, while green materials contain nitrogen. Together, they create a healthy compost heap. You can compost so many different items, not just food scraps. Almost any organic material will do. Here's a list of what can and cannot be composted. As you can see, there are tons of materials you can compost, compared to the things you can't. Obviously, while living in an apartment, you probably won't be composting grass clippings, leaves, straw and hay, but it's still good to know if you somehow wind up with those items. What are my options for composting in an apartment? Lots! I'll list four options here I really love and recommend. You should never feel limited just because you live in an apartment. There are so many ways to compost within a small space! Personally, this is the method I use. It makes composting in an apartment a no-brainer. A compost pail is attractive enough to leave on your counter, making it easy to add your food scraps to. You just lift the lid and toss them in. I add pretty much everything in here from fruit and vegetable peels to soiled paper towels. The best part is there's no smell: It comes with a built in charcoal filter. The filter will last about 6 months before needing to be replaced. Unfortunately you cannot compost the filter, but it is essential for keeping odor at bay. My folks, who aren't zero waste at all mind you, really love this thing. It makes kitchen composting super easy. We just lift the lid, plop in some food scraps, and then forget about them until Saturday. Come the weekend, my mom and I get up nice and early to go to the farmers market. We take our compost pail with us in a big tote bag. The handle also helps me transport the pail with ease. When we get there, we dump off our food scraps first thing by taking off the compost pail's lid and shaking out the insides. There's this big bin the market sets up for food scrap collection we chuck our food scraps into. It's totally hands off after that. What I love about this method is that I don't have to compost at home for it to work. Plus, I'm always going to the farmers market anyway - might as well bring my food scraps to be drop off, right? 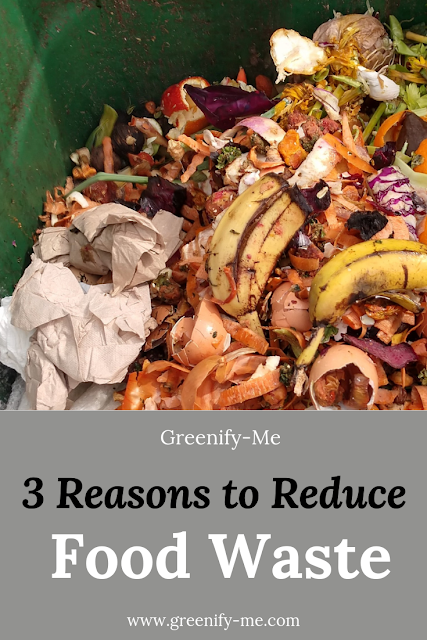 If you have a local farmers market near you, and they collect food scraps, this is definitely an option I'd recommend considering. It also works great for people who don't like the idea of composting, or have super limited space. See if any of your neighbors have chickens. They'll typically eat a lot of food scraps. 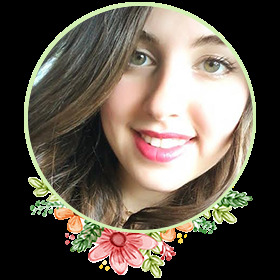 Know someone who composts? See if they'll take your food scraps off your hands. Locate your local community garden and see if they accept food scrap donations. These are just a few more options for where you can drop off your food scraps. Make sure you ask them what kind of food scraps they accept first: If they can process meat, fish and dairy, great! If not, make sure those items stay out of your compost pail. If you're on a budget and can't afford a compost pail at the moment, you could also try to freeze your food scraps in a big container or bowl, then bring it with you to the farmers market. This will prevent it from smelling and cost you nothing, but it's definitely a bit more work. I definitely prefer countertop composting, but hey, that's just me. If you don't mind apartment composting with worms, this is the method for you! Vermicomposting is just a fancy name for keeping a worm bin. The worms basically turn your organic waste into fertilizer. To get started, you need red worms, otherwise known as red wigglers. You can actually pick some up at your local bait store. Or, you can try Uncle Jim's Worm Farm - they'll send you 2,000 red wiggler worms live! Obviously, the worms need a home. There are several kinds of worm bins available online you can purchase. Personally, I think the Worm Factory 360 Composting Bin looks promising (pictured above). It is made from plastic, but it's absolutely fantastic for beginners because there's a drainage system to help regulate moisture levels. It only takes 15 minutes per week to manage too, so it's super efficient. All you need to do is add a handful of worms and your organic waste to the bottom tray of the Worm Factory 360. The worms will get to work right away! Once the bottom tray is filled, you just add another tray. The worms will migrate upward to the newest food source, leaving the bottom tray full of nutrient-rich compost. The first tray should take about three months to become fully composted by the worms, but after that the other trays should take as little as a month. Once you harvest the finished compost from the bottom tray, you have an empty tray to stack on top again. The Worm Factory 360 also comes with an instruction manual with step by step directions for managing your worm bin. Altogether, it definitely looks like a great option for those who want to start an indoor worm compost. Also, in regards to worm care, it's worth mentioning worms don't really like orange peels, garlic, onion or extra greasy cooked foods. They also don't like meat or dairy products. The smell and temperature of these foods will make them want to leave the bin. Think of your little worms as raw vegans and you'll keep them mighty happy. Also, worms are sensitive to temperature changes, so be sure the temperature doesn't drop below 32 degrees F or get hotter than 95 degrees F in your apartment. You don't want them freezing over, or boiling to death! If you prefer, you can also try creating your own indoor worm bin. Here's how to create and maintain an indoor worm composting bin. For even more information on apartment composting with worms, Wasteland Rebel has a really thorough guide that'll help. You might be wondering, 'okay, but how do I compost in an apartment without worms?' Maybe worms gross you out. No worries, I got you covered. If you prefer a more hands off, simple method for composting indoors, the Bokashi bucket may be your solution to composting in an apartment. Bokashi composting is unique because you can actually add meat and dairy to it, along with the rest of your food scraps. All you have to do is mash your scraps down and add the activator mix in. The activator mix is full of microbes that speed up the composting process. Add your food waste to the bokashi bucket. Sprinkle a tablespoon or two of the premium bokashi bran mixture into the bucket. Repeat each day until your bokashi bin is full. Typically, it takes two weeks to fill the bokashi bucket. Once full, seal the lid and let the bin sit for 2 weeks to complete the fermentation process. Once your food scraps have turned into pre-compost, it's ready to be buried. If you have houseplants, you can bury it in their soil. If you know someone with a garden, you can give it to them and tell them to bury it in their garden. In two weeks, the pre-compost will have transformed into the compost you can grow things from. You're ready to grow all kinds of plants with it! Start planting seeds and watch them flourish. 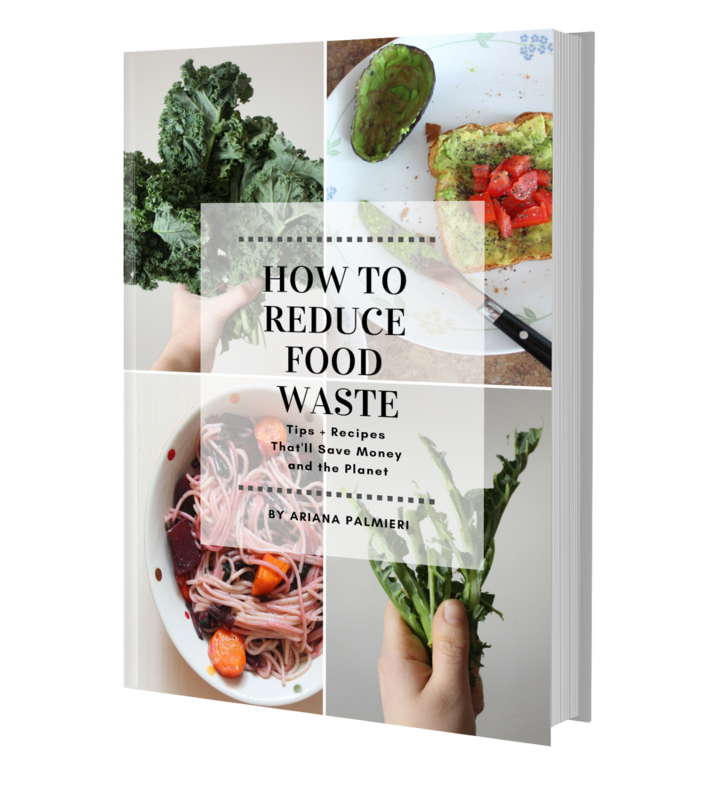 Ultimately, it'll take about 4 to 6 weeks for your food scraps to turn into usable compost. That's pretty darn quick! The bokashi composting buckets are made out of plastic, but it's still a great way to reduce food waste. Plus, it's ideal for beginners and meat eaters alike. Just leave them in your kitchen somewhere that's easy to access so you remember to add your scraps at the end of your meal. For those who have balcony space, you may want to consider investing in a tumbler. They make composting in an apartment balcony easy. It's a great system for meat, bones, fats, cheeses and fish scraps. So if you're a meat eater, this is definitely a good option for you. However, it's important to note you'll have to turn the composting wheel every day. There's a reason they call it a tumbler: You have to turn it so the compost inside tumbles. Doing this churns and mixes up the greens and the browns, speeding up the compost process. It's honestly not that hard, and a pretty good mini workout. If you can't churn it every day, it's okay to churn it five to six times every two to three days. Tumblers typically have large openings and removable doors, making it easy to add food scraps and remove finished compost. If it's hot out and your tumbler gets plenty of sun, compost can be ready in as little as two weeks. Obviously, I don't recommend this method for anyone who doesn't have a balcony. It's definitely more of an outdoor composting method than an indoor one, because tumblers are pretty bulky. Apart from the methods listed, here are a few more ways to compost indoors. You could go with the trench method, but finding a place to do it is super tricky. Trench composting is simply digging a hole and burying your compost. Maybe ask a friend if you can do it in their backyard or find a vacant lot? Check and see if your city offers composting, or if there's a business in your community that will come pick up your food scraps. A quick google search should help. In New York, where I live, you can request organics collection if you live in a large apartment building with 10+ units in any of the boroughs. Create a DIY compost bin from scratch. If you're feeling crafty, or on a budget, this is a fun project to take on. You can customize it to the space you have available, so that it fits into whatever size your living quarters are. You don't need any worms necessarily. Just drills holes in the top and bottom of your chosen bin, line the bin with shredded paper, twigs and leaves, then add your food scraps to it. Mix it at least once a week. If there's any smell from it, add more brown material to help balance it out. Start a composting system in your apartment complex everyone can participate in. If the people in your building are friendly, and interested, perhaps consider getting together and starting a compost system that works for all of you? You can also bring it up at the next board meeting, if you're on it. 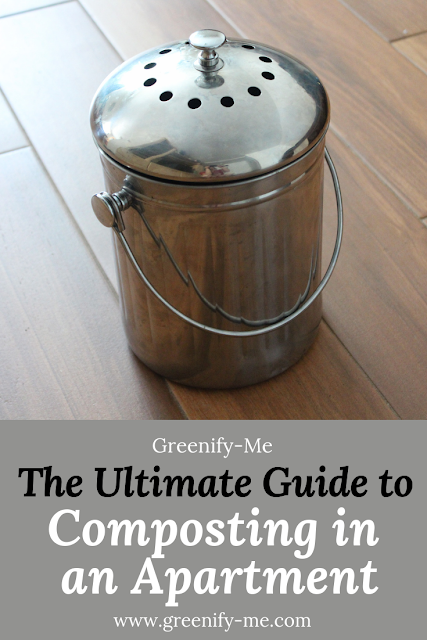 Do you have a better understanding of composting in an apartment now? 😊 I really hope this guide helped you.